Microsoft Edge’s improvements with the Windows 10 Creators Update may finally make it a browser worth talking about. It debuted to shrugs with the original Windows 10 and saw incremental improvements with the Anniversary Update. 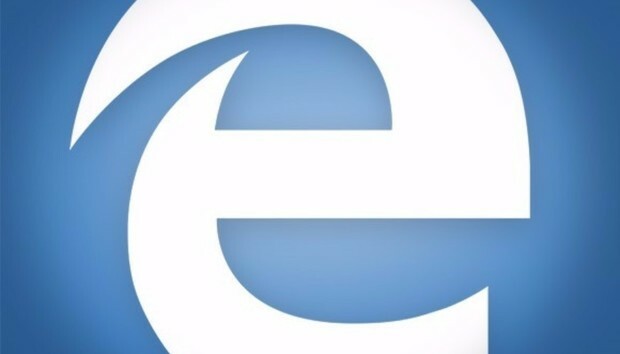 Edge is still catching up to Google Chrome and Mozilla Firefox, but the browser now offers a few welcome new additions, as well as one significant change that can’t be beat on Windows 10, at least not yet. Here are the five key improvements you should check out. Set aside tabs for later: People who open a lot of tabs at once could cut down on the clutter with this feature. Click this icon to sweep tabs into a folder. Open several tabs that you want to save. Nestled to the left of the browser’s open tabs, there’s an icon that looks like a browser window, with an arrow pointing to the left. Clicking it will visually sweep away those open tabs toward the left. To get back to those tabs, look for the next icon to the left, which looks like two darkened, stacked browser windows. Click it, and you’ll get a list of the tab groups you’ve created and swept to the side. After sweeping a group of tabs to one side, you can get them back by clicking this icon. Select the group you want, and they’ll reappear as full tabs in your browser. The groups persist and can be swept away and returned as often as you like. This feature’s still a little primitive, though, in that you can’t pick and choose tabs for a group. It just sweeps up whatever tabs are open in your browser at that time. You also can’t name the groups. Instead, the groups show a thumbnail of each tab to help you remember what’s in there. Find tabs quickly: Microsoft expanded Edge’s preview feature, which lets you hover over an individual tab that is not in focus to see it in thumbnail preview. Now, instead of hovering over individual tabs, users can preview all their open tabs in a single click. At the top of the Edge window to the right of the open tabs is a downward-facing caret icon. Click that, and previews for all open tabs appear (and the caret points upward). You can close your open tabs from here or just click the caret again to make the previews disappear. You can also read ebooks in Edge. This is a minor feature for traditional PCs, but anyone rocking a tablet will appreciate the ability to open an ebook without an extra app. It doesn’t work with Kindle of course, but Edge can open DRM-free ebooks in the e-pub format, such as the Harry Potter series (depending on how you purchased it), or DRM-protected ebooks purchased from the Windows Store. The reading features cover the basics of navigation and formatting. A nice addition is Edge’s ability to read aloud. Don’t expect a celebrity reader-quality narration—the voice is robotic, but understandable. Check out our primer on how to read ebooks in Edge for more details. Edge also caught up to the browsers of the early aughts by adding the ability to import bookmarks from competitors. It may seem snarky to say that, but this feature is so basic it should’ve been a part of Edge right from the browser’s debut in 2015. To access the import feature, click the three dots in the upper right corner of the browser window and select Settings > Import bookmarks. Microsoft Translator is now available for Edge. Officially, this extension only works with the Creators Update, but it worked just fine on a machine running the Anniversary Update in my tests. The new extension adds what is a built-in feature for Chrome: It allows users to translate a website into more than 50 languages with a single click of the Translator icon in the address bar. Using Netflix’s own diagnostic tools, we can confirm that Edge is streaming in 4K. (Unfortunately, it seems that DRM or other technical limitations block screenshots, so we used a camera instead.) Click the picture to zoom in. One area where Edge really shines is 4K video streaming. Based on our tests in late March, Edge is currently the only way to stream 4K video on a PC. Using Edge’s new capability is still out of reach for most users, because it requires a 4K monitor, a streaming service that serves 4K video such as the $12 tier of Netflix, and a Kaby Lake processor. Those are the big features that came to Edge with the Creators Update. Other changes include click-to-run Flash by default, a full 25 extensions in the Windows Store, and support for InPrivate windows in the Edge jump list (which was almost non-existent in the Anniversary Update). Edge still has some work to do, but with the Creators Update it took a big step toward becoming a browser you’d actually want to use on a daily basis. « Apple Clips: Live transcriptions are impressive, but where are the selfie filters?